Mergers and acquisitions, strategic alliances, more efficient processes, highly competitive market and greater production flexibility are accelerating change and globalisation in the sector. At the same time, chemical companies are subject to strict compliance requirements, while driving down costs and streamlining operations. Now companies can automate change control processes to increase productivity, focus on innovation not just ‘keeping the lights on’ and easily meet the most stringent regulatory requirements. At the same time, introducing new projects and capabilities into existing processes – often at short notice – to meet customer demands is a must. Stand out in a sector where products are similar through delivering a superior customer experience. Better, faster and safer SAP changes are key to happy customers. Introduce SAP agile and DevOps to accelerate the delivery of applications and enhancements and confidently meet stringent regulatory and production requirements. Your agency exists to make life better for citizens. That means faster delivery of high quality applications and services. Now you can accelerate the delivery of services, while significantly reducing the cost of SAP software development. Replace slow, error-prone manual processes with a single, SAP change control automation platform, delivering better government solutions and services to citizens. Students expect value for money and innovative applications and services to support their education. To satisfy students, faculty members are demanding software to transform the education experience. Campus IT teams are charged with delivering better solutions and enhancements within limited budgets. 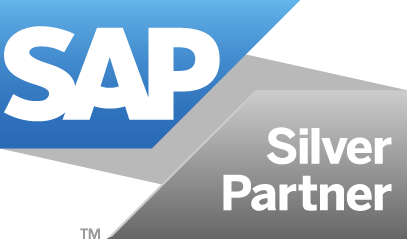 With Rev-Trac Platinum, you can automate SAP change management processes, providing fast, high-quality applications and services for all at a lower cost. Success relies on the fast delivery of high quality products, applications and services, without sacrificing production systems stability. At the same time, IT teams are under pressure to transform backend SAP systems more quickly to take advantage of new approaches and technologies like IoT. Now you can accelerate the delivery of services, while maintaining near 100 per cent uptime of SAP solutions and improving efficiencies. It faces a challenge from the fast-rising popularity of renewable resources. To adapt and thrive in a challenging market, companies need to improve efficiencies, simplify processes and rein in costs. Better, faster and safer SAP changes, and driving innovation is critical to survival. Now companies can introduce SAP agile and DevOps to accelerate the delivery of applications and enhancements and generate new revenue streams. Managing the delivery of products to hospitals, medical professionals and patients involves significant IT infrastructure. Dealing with the huge volume of change from business requests, enhancements and new projects can be a nightmare for SAP IT teams. Now you can make more change, more frequently, while significantly reducing the cost of SAP software development. Automating change control processes minimizes the risk of SAP systems failure and makes it easy to meet demanding regulatory requirements.